You can never travel enough! 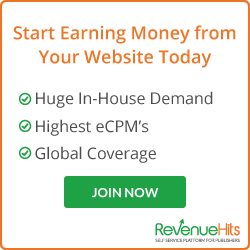 Book your flights for your next trips now! Just can’t get enough? 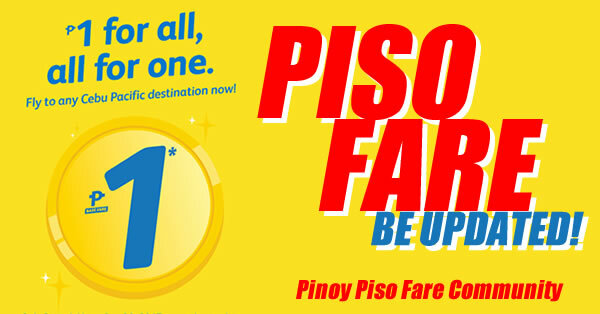 Here’s a new seat sale for everyJuan! 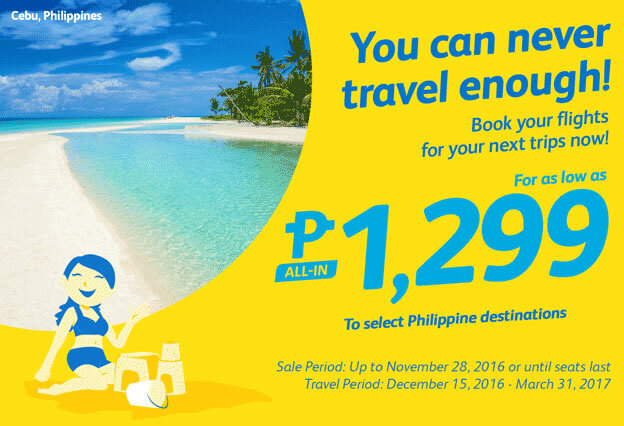 Book now till November 28, 2016! 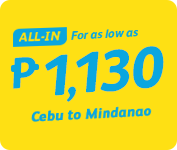 Get this amazing Cebu Pacific You can never travel enough! Book your flights for your next trips now! Tuparin natin ang wish list mo! Book all the trips you want this holiday season! 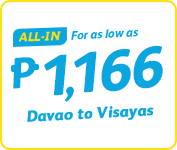 For as low as P1299. 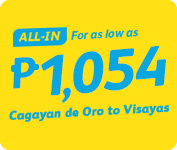 You can buy this promo up to November 25, 2016 or until seats last and travel period on December 15, 2016 to March 31, 2017.